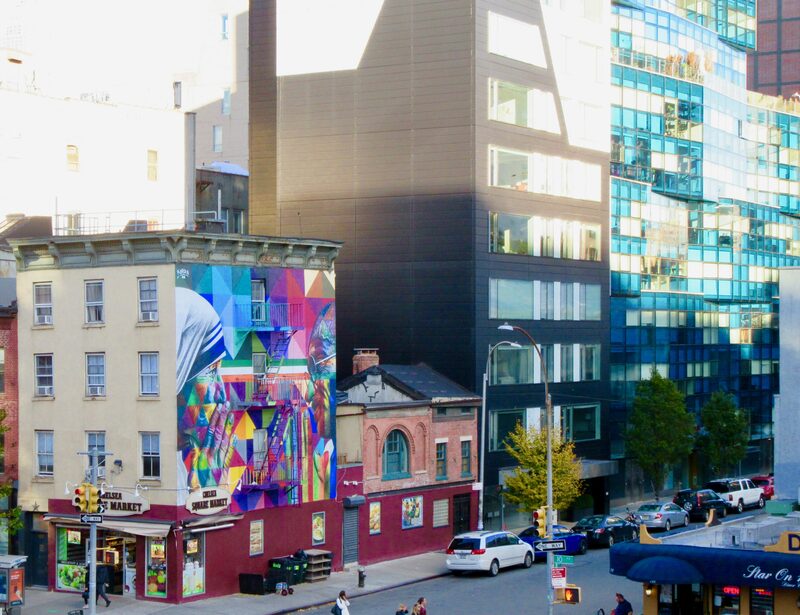 I was walking downtown on the High Line when I just happened to notice this cool new mural from renowned Brazilian street artist Eduardo Kobra, done in his signature, harlequin-pattern, Technicolor style. 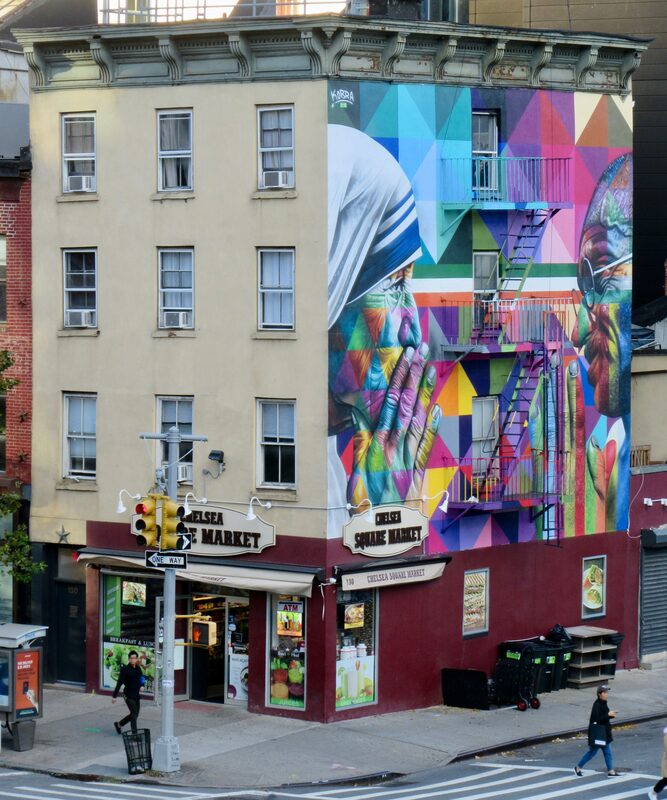 Painted on the side of the Chelsea Square Market at the corner of 18th Street and Tenth Avenue, the three-story image features the profiles of Mother Teresa and Mahatma Gandhi, facing each other in a tribute to their roles as two of the world’s greatest humanitarians. Gandhi, of course, led India in its quest for independence from British rule by pursuing a campaign of non-violence that was later emulated by the Reverend Dr. Martin Luther King Jr. during the Civil Rights movement. Mother Teresa was awareded the Noble Peace Prize, and was granted sainthood by the Catholic Church, for her work ministering to the poor of Calcutta. 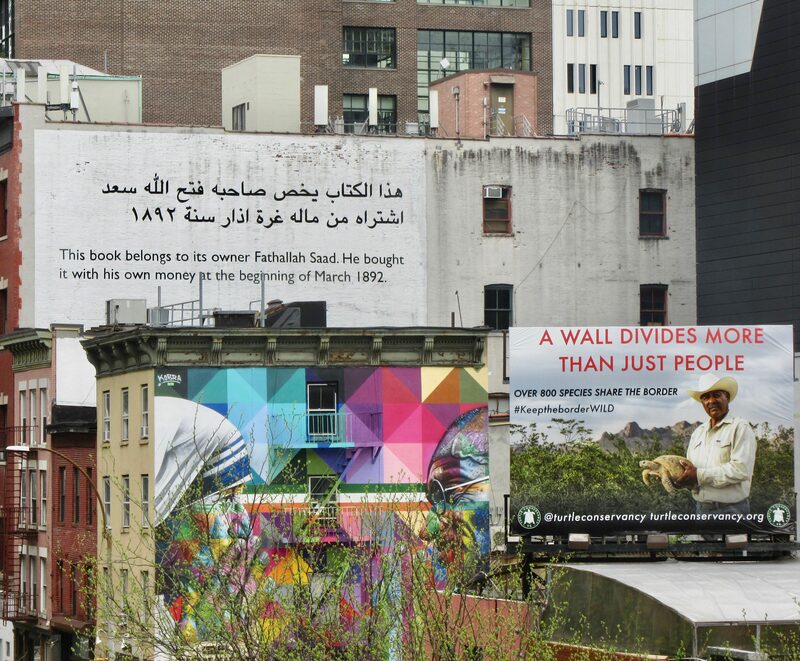 This piece went up in late August, 2018.